Hugo Joe is an ATL outlier: a first generation Nigerian repping Douglasville on the city’s outskirts, in possession of a haunted, melodic flow and inked-out arms filled with “Better Off Alone” tats. This young standout found the ying to his yang in producer MexikoDro, the Drake-approved beat phenom behind oddly glistening cuts for Playboi Carti, Yung Bans and a Who’s Who of Atlanta up-and-comers. 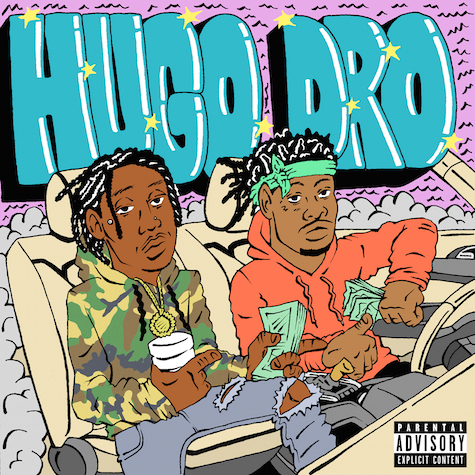 After flexing with the underground hit “Sade,” the duo combine forces for the full Hugo Dro EP on Fool’s Gold, the perfect home for two rap iconoclasts. From the levitating bass of “Tesla” (featuring the scamboy himself, Guapdad 4000) to 808 anthems-in-the-making “Afghan” and “Debutante,” Hugo Dro is a dripped out introduction to Atlanta’s next generation of talent.